The 26-year-old is currently serving as first-choice shot-stopper for Belgium, who are one of the favourites to win the tournament in Russia. His side face a crunch final group-stage fixture against England on June 28 in Kaliningrad, which will determine who finishes as the winners and runners-up of Group G.
“If you want to have that winning feeling, it’s best to keep on winning. I don’t want to go back to England in July with a losing feeling. I want to win. 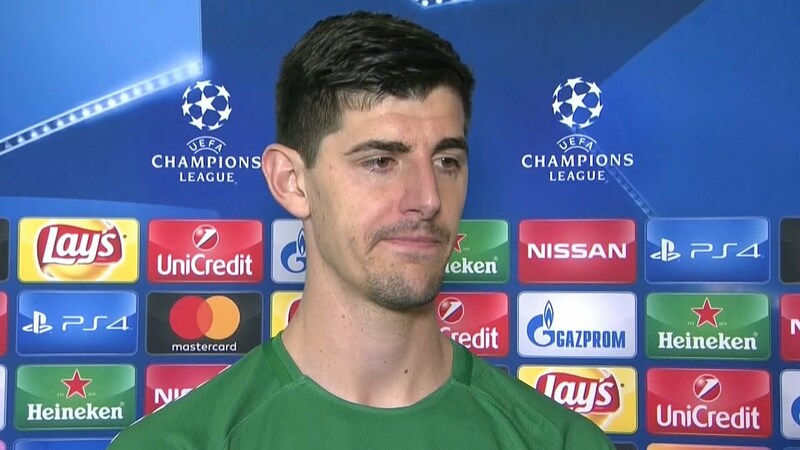 I think everyone feels that way,” the Telegraph reported Courtois as saying. Belgium could have a slight advantage going into the game as many of their players, such as Courtois himself, Vincent Kompany, Kevin de Bruyne, Eden Hazard, Marouane Fellaini and Toby Alderweireld all play their club football in the Premier League and are familiar with the English players. However, with both teams already assured of their place in the last 16, the Belgians could be set to rest the key trio of Hazard, Romelu Lukaku and Dries Mertens; manager Roberto Martinez has said that there will be ”major changes” to his side. Hazard and Lukaku both came off during Belgium’s recent 5-2 win over Tunisia after they complained about calf and ankle pain, respectively. Key players such as Alderweireld, de Bruyne and Thomas Meunier also already have yellow cards to their names and it may be wise to limit their playing time against the English as a result. Although England have historically been underachievers in major tournaments, the Red Devils cannot afford to take them lightly. Harry Kane is also in red-hot form, after scoring a hat-trick as the Three Lions defeated minnows Panama 6-1 on Sunday.